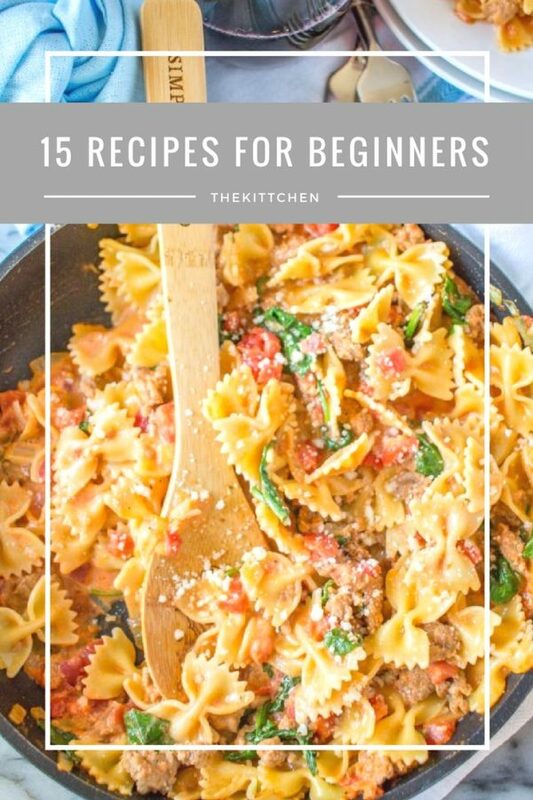 15 Easy Recipes for Beginners | Simple Recipes Anyone can Make! 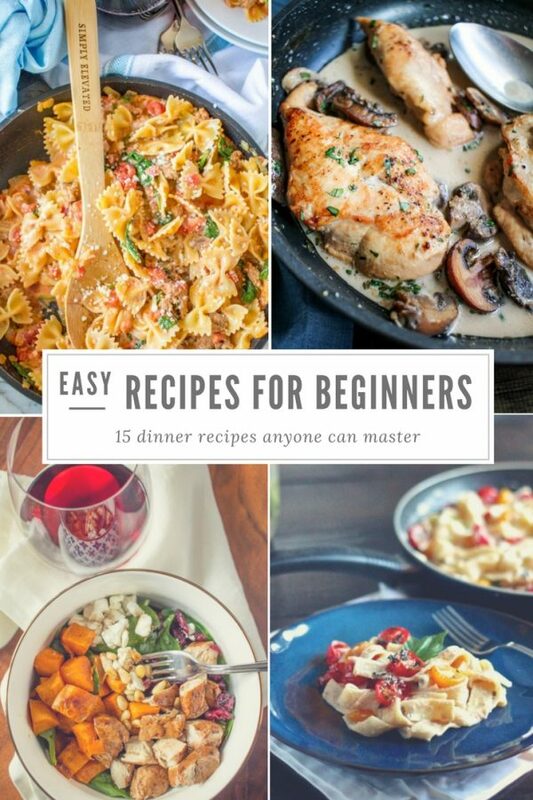 These easy recipes for beginners are quick weeknight meals that I have been relying on for years. One of my oldest friends recently admitted that she has trouble in the kitchen. She asked me if I had any simple recipes that she could make for her family. 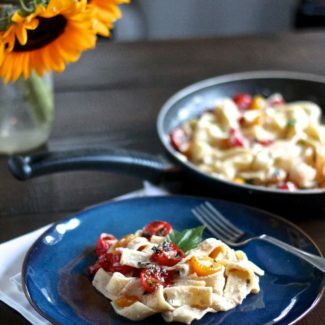 I thought that I would help her out by assembling a list of easy recipes for beginners – a collection of foolproof recipes that anyone can successfully make. 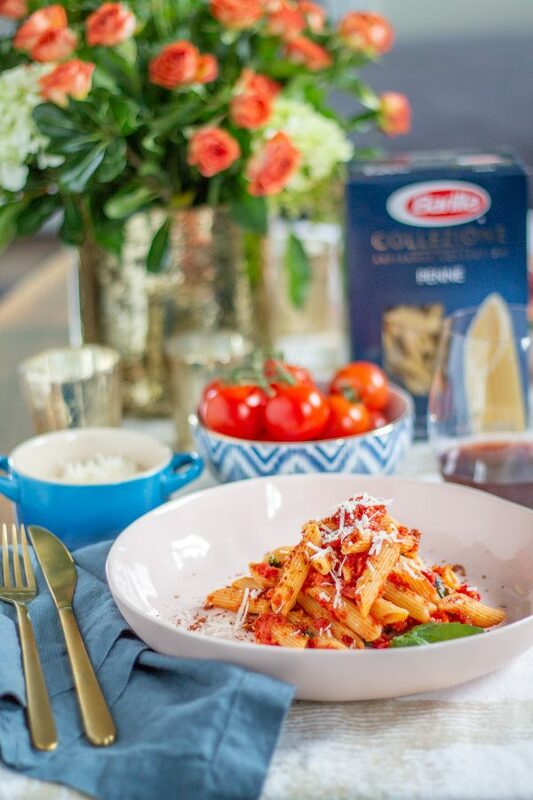 Pomodoro Fresco – Inspired by a recipe created by Top Chef winner Joe Flamm of Spiaggia in Chicago, this pasta is bursting with fresh flavors and can be prepared in just 20 minutes! 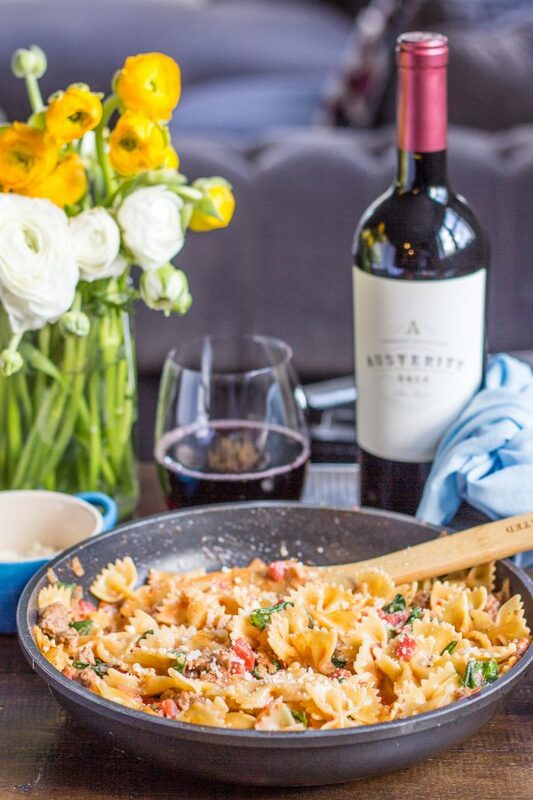 Sweet and Spicy Sausage Farfalle – My Mom made this all the time when I was a kid – we used to call it “sausage and bow ties”. Now I make it for Charles. 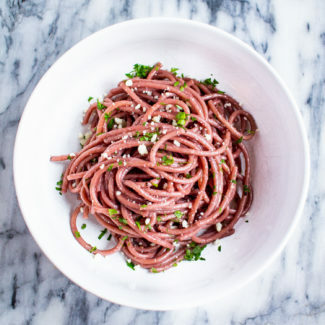 This is a great simple recipe because it takes just 20 minutes to make and all of the ingredients are inexpensive. 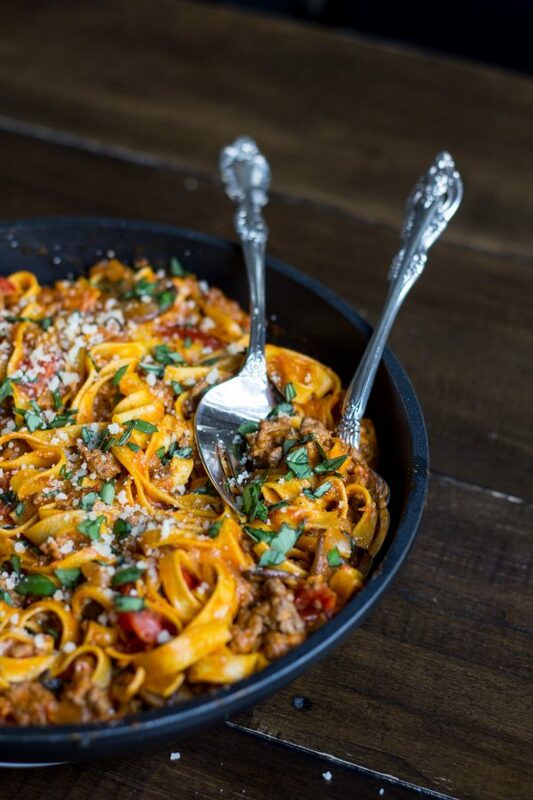 Easy Beef Pasta Skillet – This rich creamy beef pasta skillet is made with roasted tomatoes, ground beef, and mascarpone cheese to make an irresistible pasta dish. 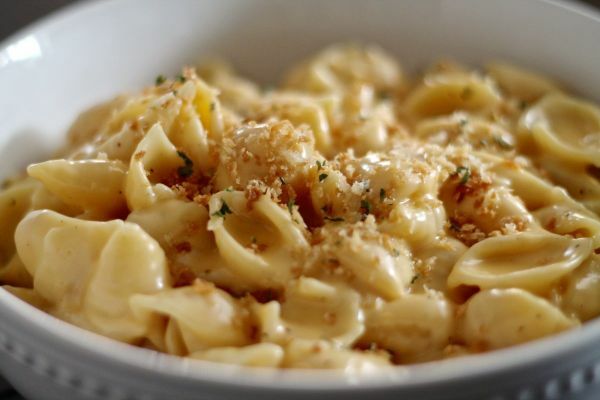 Creamy Cheddar Mac and Cheese – Everyone loves macaroni and cheese and this recipe for stovetop make and cheese with a crispy panko topping is super simple and can be made in just 20 minutes. 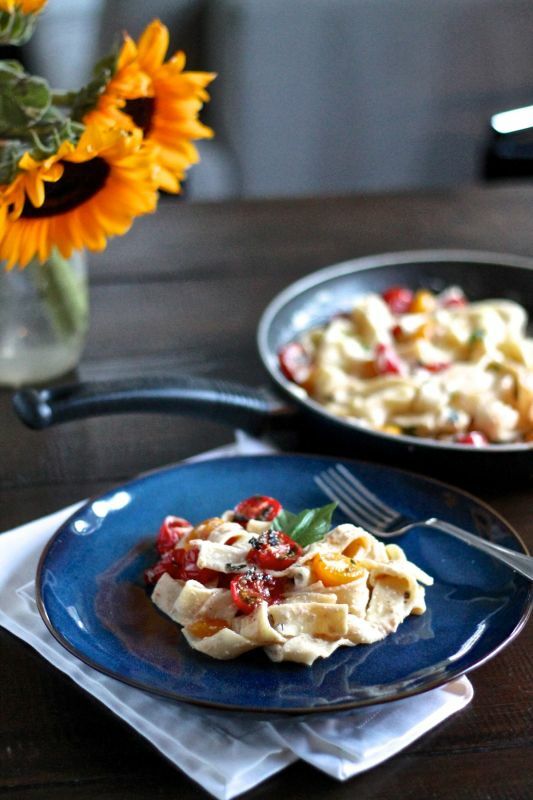 Roasted Garlic, Goat Cheese, and Tomato Pasta – A delicious vegetarian pasta recipe that comes together in 40 minutes. 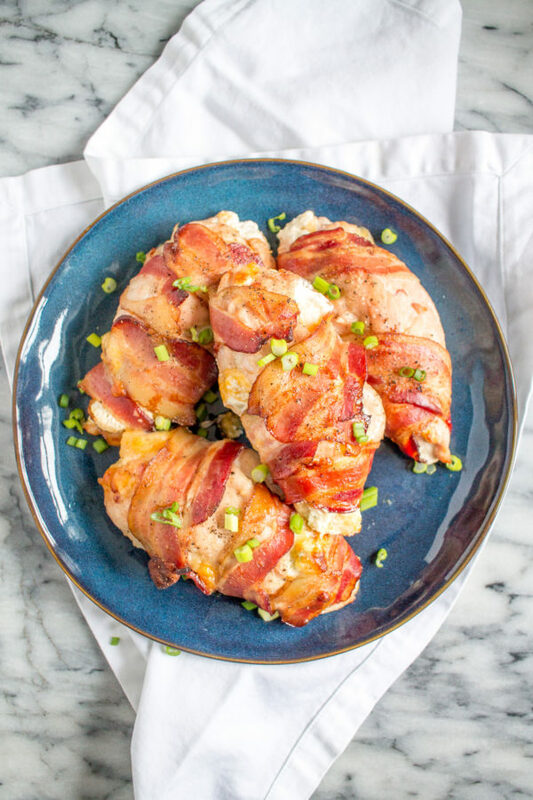 Bacon Wrapped Jalapeño Popper Chicken – This is the most popular recipe on this website – it has been shared on Pinterest over 230,000 times! Chicken is stuffed with cream cheese, diced jalapeños, and Mexican cheese, wrapped in bacon, and then baked. 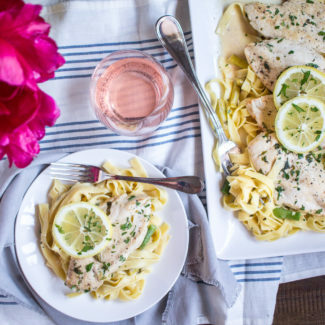 The preparation time is less than 10 minutes! 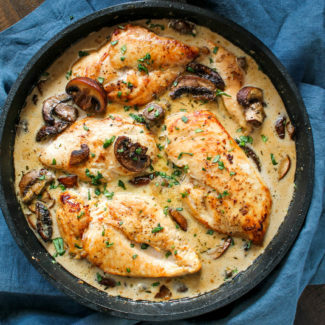 Mustard and Mushroom Chicken – A super flavorful chicken recipe that takes just 25 minutes of active preparation time, I have been eating this since I was a kid. 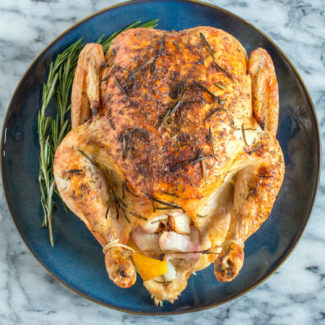 How to Roast a Chicken – Roasting a chicken can seem overwhelming, but it is really one of the easiest recipes out there. 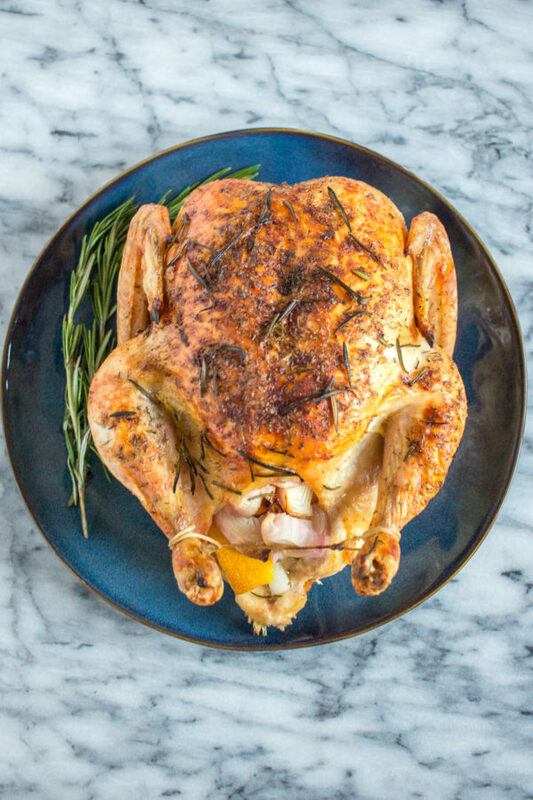 And who doesn’t like roast chicken, gravy, and mashed potatoes? 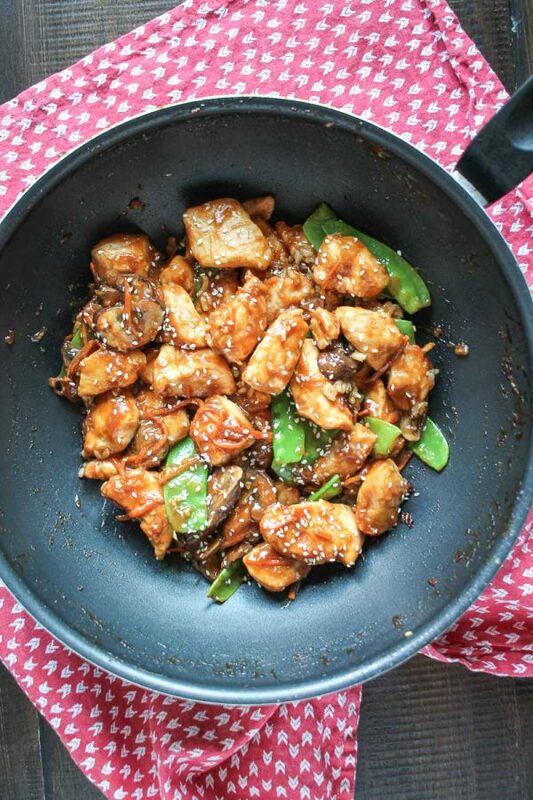 20 Minute Sesame Chicken – You just need one skillet and 20 minutes to make this delicious sesame chicken. 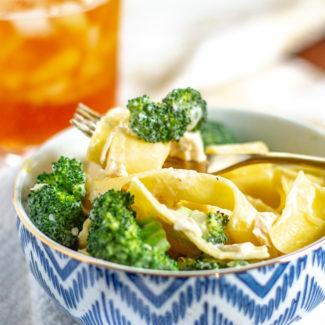 You can easily customize this meal to include all of your favorite veggies too! Classic Pot Roast – My Dad’s recipe for a classic pot roast only requires 5 ingredients and about 5 minutes of active preparation time! We ate this on repeat throughout my childhood. 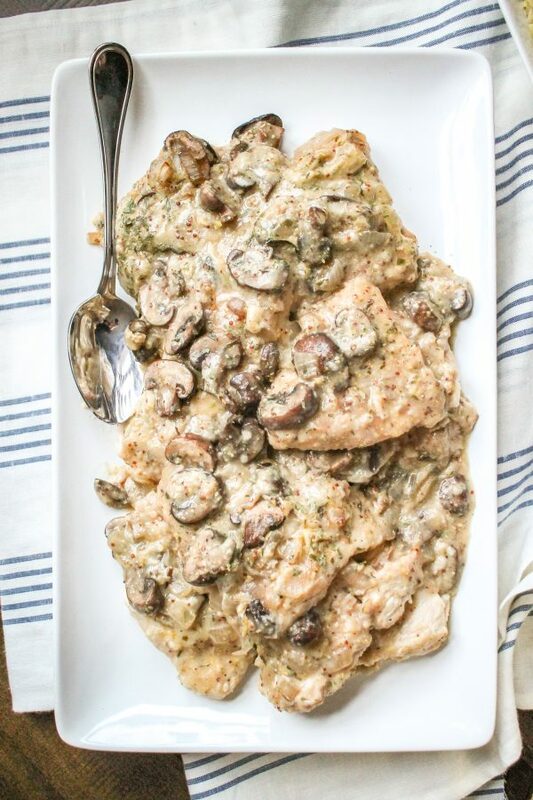 Sherry Mushroom Chicken – If you want a quick and easy recipe that seems fancy this is your best bet. 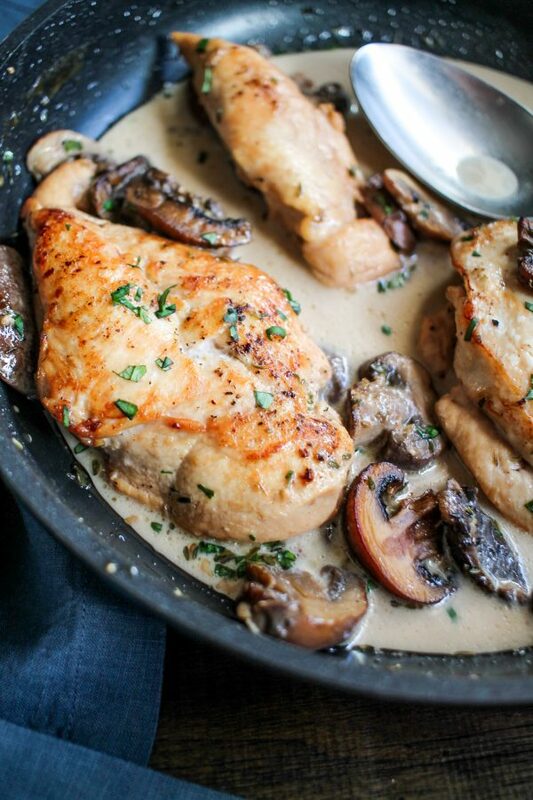 Chicken breasts are cooked in butter and sherry and then served with a creamy mushroom and sherry sauce. This is always a hit. 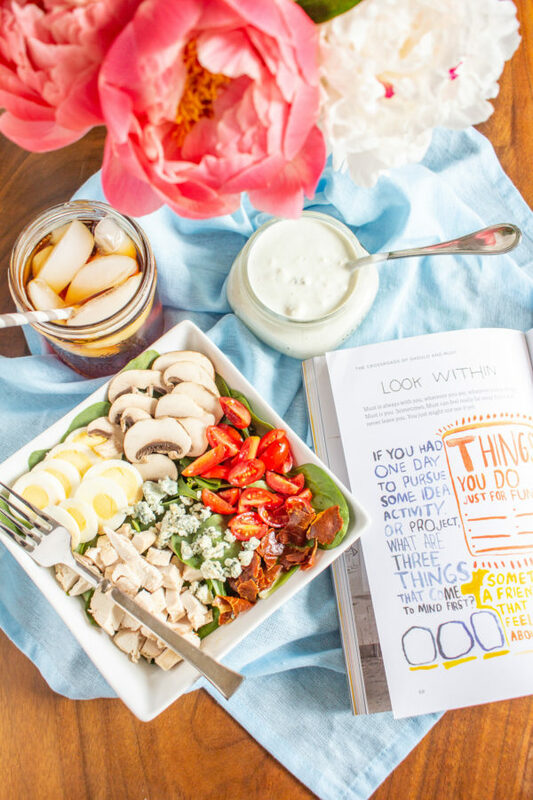 Spinach Salad – This spinach salad is topped with diced chicken breast, blue cheese, hard boiled egg, tomatoes, mushrooms, crispy prosciutto, and a homemade blue cheese dressing. It’s fantastic. 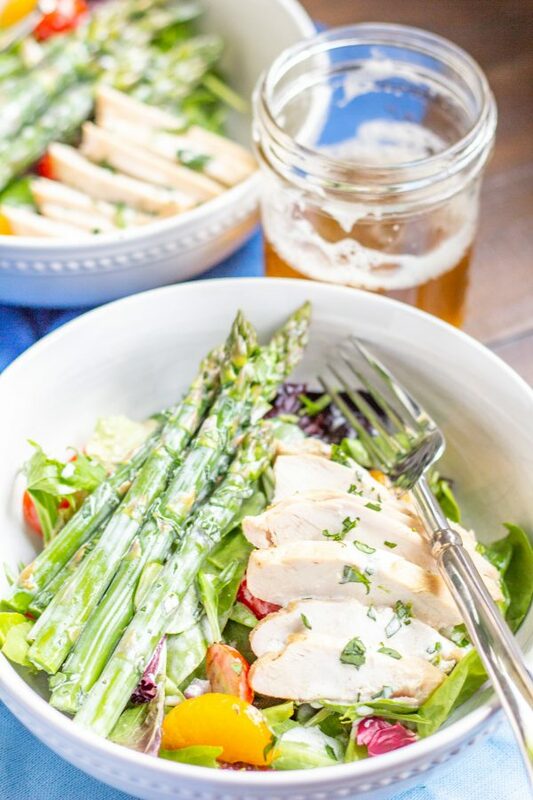 Asparagus Salad – This salad brings together fresh asparagus, chicken, tomatoes, and mandarin oranges in a light yogurt dressing. 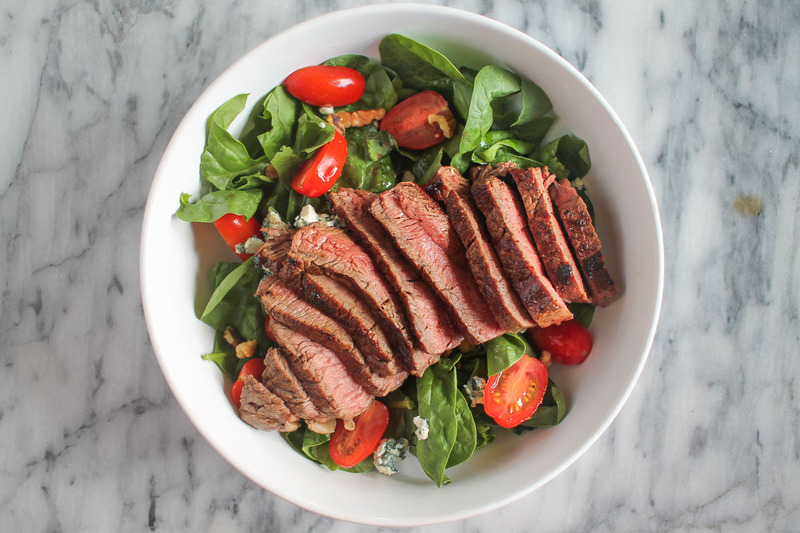 How to Perfectly Cook Steak in a Grill Pan – People get intimidated by cooking steak, but it is really easy. 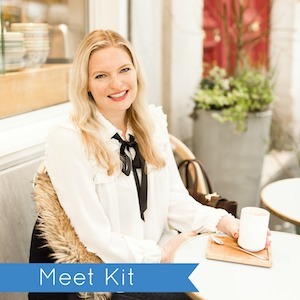 I break it down into easy steps in one of my most popular blog posts ever. 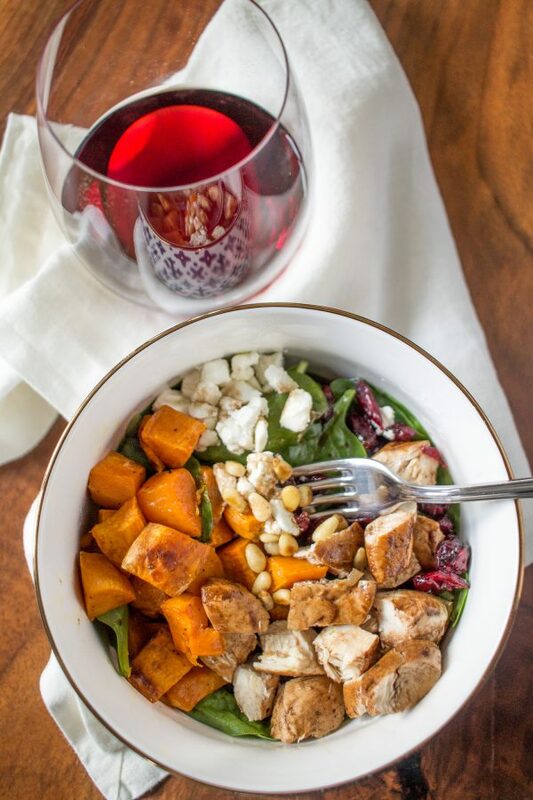 Balsamic Chicken and Sweet Potato Salad – This salad is a delicious way to eat your veggies. 4 Ingredient Taco Chicken – Let’s start with the easiest recipe! 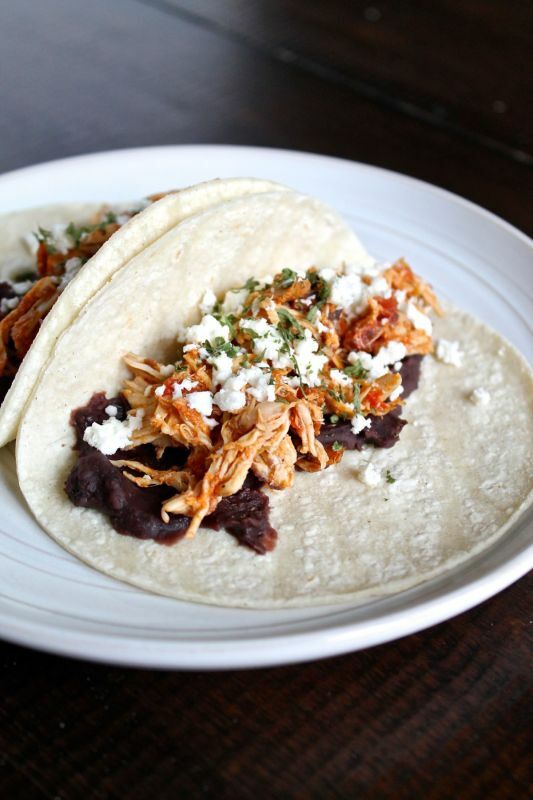 Throw 4 simple ingredients in a crockpot and a few hours later you have chicken perfect for making tacos! And let’s face it – taco night was the best of the week when you were a kid. 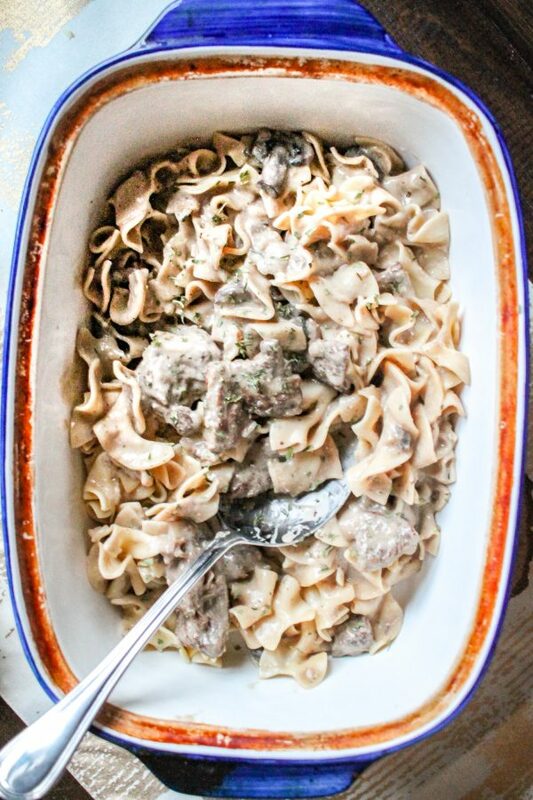 Beef Stroganoff – This meal of tender chunks of beef, mushrooms, and onions in a creamy sauce takes just 20 minutes of active preparation time. You just need to quickly brown the beef and saute the mushrooms and onions before throwing everything into a crockpot to cook for 5 hours. 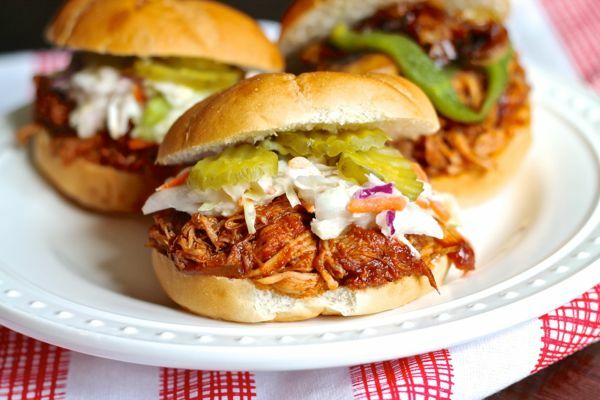 BBQ Pulled Pork Sandwiches – I love this recipe because you can customize your sandwiches with your favorite toppings. 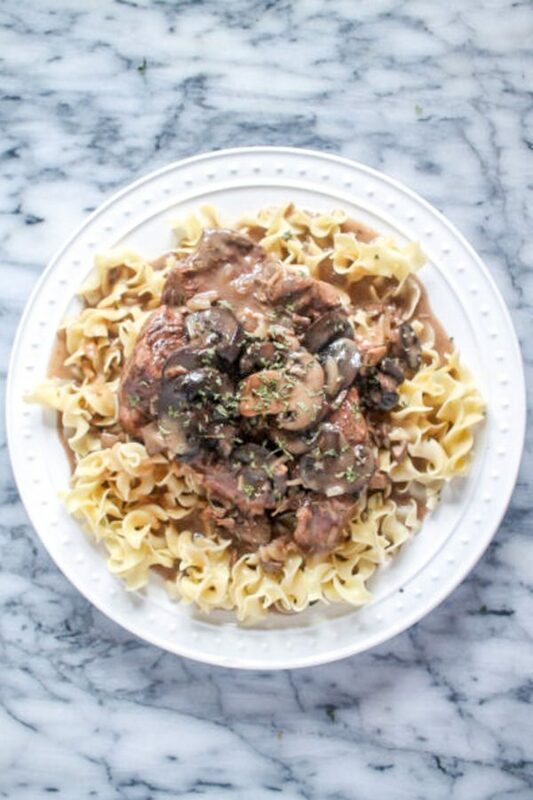 Just like the other crockpot recipes, you just need to throw a bunch of ingredients together and let your meal cook.